I've been a member here for 6 years and believe it or not, this will be my first post. 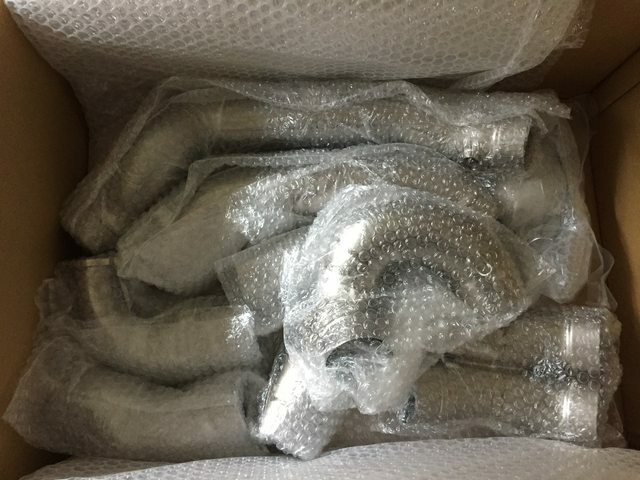 I have for sale a "new" as in never installed Moto Corse Bimota DB7 Titanium exhaust system, e.g., manifolds and link pipes for sale. I purchased 2 sets, as I thought I would get my hands onto another DB7 for my collection, and that hasn't panned out. Thus, why let this beautiful work of art sit in the box, in a cabinet and never see the light of day. I'm seeking just under what I purchased and shipping does not come with the purchase... that is extra as I am not a business owner with either a DHL, FedEx, TNT or UPS account. They'll be shipped via the USPS. For those of you in the UK, specifically GB and the greater London metropolitan area... I frequently travel there on business and I could hand-carry to eliminate shipping, and customs fees, etc. 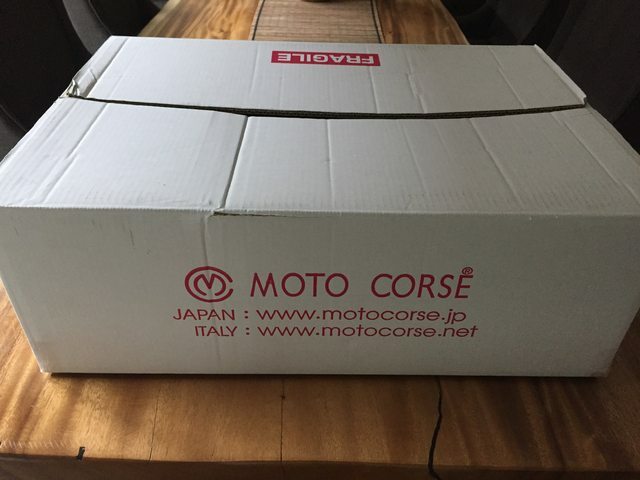 Pictures of Moto Corse for bi-mo-ta post. 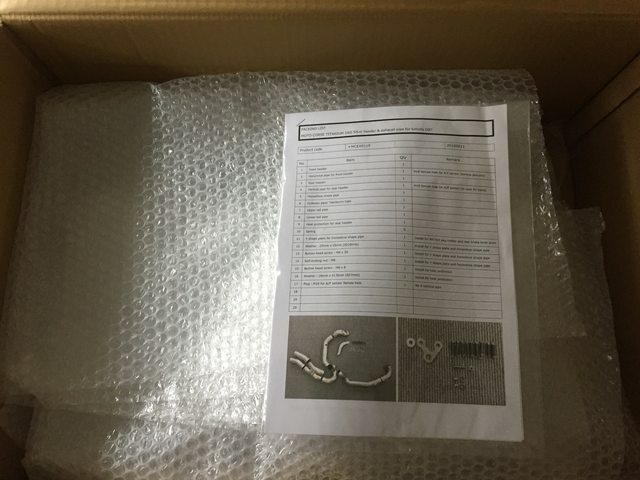 Thats no good....I've got lots of bubble wrap and cardboard at home....Its Bling bling bling we want...detailed shots of an artisans work...not how a 5 year old Philipino child can knock up a box and wrap things.....Dissapointed…..
Somethings are for the purchaser's pleasure only !! I'm sure if you cross bi-mo-ta palm he will send said items to you for you to unwrap in the privacy or your own home !!! But if its free cheap thrills you after you on the wrong web site and you going to have to look elsewhere , although I would refrain from any search involving the words ' 5yr old Philippine ' !! Vort, many thanks for the assist. I’ll send you a few other pictures of the other system installed, which you can post here. That way folks get an idea of what it looks like?! 2bims, while I respect you want to see the artisans work, trust me everything is here and is exceptionally well-made & beautiful to look at. Just that I do not have a pair of surgical gloves at home, and without, I will not unpack and risk putting my hands on them, for as we know, we don’t want the natural oil in our hands & fingers to leave prints on the Ti pieces. Plus, I prefer that the future owner have the joy of unpacking for the first time. Mick, what I have fits the DB7 & DB7 Oronero. I sent you a couple of PM’s, not sure if you recv’d them? Some more pictures from bi-mo-ta. He is tormenting me !! Work of art but !!!!! Oh dear, must stay strong , resist !! Still looking for a new home. And correction for friends in GB... unfortunately my travel schedule today and this Fall doesn't look like I will be making it your way. As such and if anyone wants to purchase this beautiful work of art, I'll have to ship it to you, unless something changes with my business travel.